Regency Estates, is a gated neighborhood of spacious single family one and two story homes, built on large lots in the early 90’s by noted developer Peter Solomon. This north Palm Desert address is highly sought after and convenient to many amenities such as Ronald Reagan Elementary School, Colonel Mitchell Paige Middle School, Palm Desert High School and the UC Riverside Palm Desert Campus. Regency Estates is also in close proximity to shopping, entertainment, several Country Clubs with golf courses. Regency Estates is the ideal place to live for an active desert lifestyle, featuring two lighted association tennis courts, a half court of basketball and the beautiful new Freedom Park nearby. Access to the I-10 freeway is close and easy via Cook or Washington St. and the Palm Springs International Airport is just twenty minutes away. 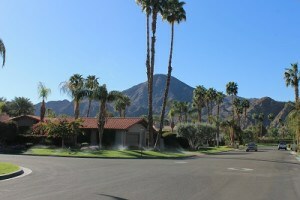 Regency Estates offers 92 one and two story California Bungalow style homes, on large spacious lots in a convenient north Palm Desert location. There are a variety of floor plans available featuring from 3 up to 5 bedrooms. HOA dues are low at Approx. $165/month.